Has the EV already become obsolete ? Re: Has the EV already become obsolete ? The speed limit (in the US - yeah, I'm jealous of the Autobahn!) says we don't need 150+mph capable cars - yet that's what a lot of us desire. produce biofuels, and then let 80% of its energy contents go to waste in ICE powered vehicles makes no sense in en energy starved world. Bio-fuel production can be very beneficial, (depending on the feedstock) and help with anti-desertification, CO2 absorption, etc. Regardless of any perceived efficiency, if bio-fuel becomes available from the pump at a sustainable $2.40 per gal, it will become the outright winning technology! 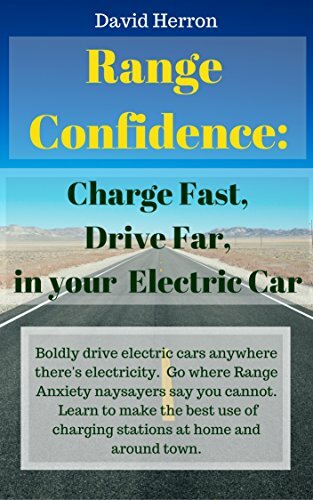 Electricity generation and transmission is very energy efficient, and so is the electric car. Producing biofuels is NOT, and neither is the ICE powered cars that is supposed to run on this fuel in the future, so its a dead end. It demands too much energy to produce, and wastes too much energy if used in ICE's, so its a dead end. The percentage of electricity generated from renewable sources also increases every day. My little elctric car runs on 100% hydrodynamic power, and the plan to increase production substantially the next 10-15 years. And, I'm not stubborn, I just think you are wrong for good reasons. The adoption of long range EV’s would see this service station, and its repair/small engineering business extinct. Just one more nail in the coffin of the viability of a small rural community. The same can be said of every other person that made a living from outdated technology, like fixing steam engines or installing landline telephones, or producing typewriters. The ICE car manufacturers and resellers also think this is a great argument. They make a living of repairing overly complicated ICE powered cars, and you and I and everyone else has to pay for it all. The oil companies, like Shell, comes up with biofuels, so that you and I can keep paying as usual and feed a whole foodchain of obsolete persons and trades. No, they can all die. There will be plenty of new jobs and opportunities in all aspects the ecar business. NO! They can all transform. Not even. morphing, not even. Transforming. Let people know you are in favor of transformation. It is so inclusive, so right! You know the time will come, as it's upon us all. Information handling has put the level playing field in front of us all. Not one brick need be changed to see a beautiful new HOUSE, figuratively. Well it's nice to see that you are so open minded! Electric power generation and transmission is astonishing inefficient. Especially since nearly 50% is generated by fossil fuels! On the other hand, Bio-fuel production can help with reducing C02,preventing and retarding desertification and increasing soil fertility. My little elctric car runs on 100% hydrodynamic power, and the plan to increase production substantially the next 10-15 years. How interesting! Which little electric would that be? But, more importantly, could you enlighten everyone as to the technology of your 'Hydrodynamic power plant'? (assuming you are not mistaking hydrodynamic for hydro-electric?). Does it need a dial-a-matic flux-converter to work? Yes of course, Oil depletion and improving technology, will ensure the inevitable rise of EV technology. However, the point of this thread is to explore the possibilities of viable rival technologies.It always pays to see what the competition is doing. Investment is always the key to success. Investment will always support the product with the most profit centres, and efficient business model. currently, that's EV's, but the Virent process has put bio-fuel back into contention. If a similarly impressive development in the technology of producing feedstock was discovered, then all the dynamics switch back to bio-fuel. It's pointless being all tribal and 'loyal' to any technology. Both you and I have invested a lot of time money, and heart into EV technology, but at $ 2 bucks a galleon we are back to hobbyist, or small specialist EV enthusiasts! Hey, what happened to the edit function? I have thought about this aspect of the transition. My ex-father-in-law was an owner/manager of a service station. It didn't make him rich, but it paid the bills, and he worked hard. Others have made comments about industry change and how people have lost their jobs because of the changes. I think we can all agree, BEST CASE SCENARIO, EVs will not be a significant percentage of the transportation industry, for a long, long time. Given the very slow nature of the transition, it seems like gas station owners have more than enough warning of the changes coming - a luxury not afforded to people in other industries that had little or no warning. A smart business person would replace one of their gas-pumps with an EV charging station RIGHT NOW, advertise the new service, and then swap out another one in another year or two... depending on the usage. Eventually the chargers will get faster and used more often. Meanwhile there is still plenty of time for gas-station owners to adapt to the changes by adding services that EV customers could take advantage of while charging ... such as a coffee lounge with wi-fi internet, or a sandwich shop, etc. If service-station owners adapt and succeed then we needn't have worried. If instead, they just sit tight and hope that EVs will fail ... then they can only blame themselves. I rode my Vectrix to a town about 30 miles from home and looked for a place to charge. I went to one gas station that had an outlet near the parking area and asked the owner/manager if I could plug-in (I offered to pay him $5). He nearly had a heart attack he was so angry! He wanted me to take my EV and get the hell off of his property! Darwin will play a role here, but it needn't be survival of the fittest, basic observation and common sense will suffice. Thanks oobflyer. Hey marcopolo, somebody threw out the "edit function" and now this thread is actually working. Yay! Transform! Regardless of the rebate from Washington, the sun is ready to be part of the solution. That's what I call loyalty. marcopolo, I meant hydro electric of course... unbelievable. ICE powered cars are obsolete, and wastes energy and resources for everyone. buried it so they could keep making money from film-cameras. Well if that's the point of the thread perhaps you should have positioned it that way rather than saying EVs are already obsolete. No? Excellent post. I agree 100%. Amazing that the first service owner would refuse what was probably a 1000% profit margin ($5 for 50 cents worth of electricity?). Marcopolo was just allowing his "Rupert Murdoch" style of "fear mongering" to shine through to support a point. Shame on him. More sackcloth required! John, you wrote:I rode another mile down the road and asked the same question of another owner/manager and they happily accommodated me - even to the point of unplugging an ice-freezer to allow me to plug-in. Okay, you all are great! A solar powered ice freezer would be a logical step, and you could plug the EV in, too, and if enough people wanted that way, somebody would sell a bunch of solar powered freezers! Man, I hope there's an entrepreneur reading this who can see a need and fill it! The man who can sell solar freezers can drive his EV and do the bizness at the bank. Why don't I? I'm too old for a start up, and I have no $$. All I can do is what I do. THIS! Where the thread turned into a muck-hole for marcopolo. Threads are great, and folks the problem is simple! The answer is simple! It's like "fall off a cliff and die" simple. All the YAKKING turned into GAKKING! Topic, is the EV dead? Is my toaster dead? Is my refrigerator dead? Now how can the EV become more mainstream? The guy who has a solar powered refrigerator freezer, and who is generous enough to recharge his buddies' EV's on the side, that guy is GOOD for mainstream EV consciousness. Problem solved. Solve this problem and the whole house of cards will crumble. All the other talk about why it can't happen is just negative YAK! Man I hope there's an entrepreneur amongst you all. I mean it. When the threads start sounding like hocus-pocus, they usually are! If my grandmother couldn't wade through it, it isn't a pond, it's a muck hole, marcopolo. @bxcycleman - we appreciate your enthusiasm - but, from my perspective, this is a reasonable thread not a muck hole. Just like you said on another thread - an alternative point of view is a good thing. So, if you don't like the point of view feel free to offer a counter argument. But there's no need to post stuff like you did. Just my 2cents worth. (a) it's a big IF - producing bio-diesel is still considered an industry with a number of hurdles to overcome. Personally I've no idea how close to production this is. I wouldn't be surprised if it's years away though. (b) A guaranteed $2.40 per gallon would certainly put a big "chill" on EV investment. However, there's a big "if" between being able to sell at $2.40 per gallon and being willing to. (c) Despite diesels being a generally superior ICE technology it's still to find a toehold in the US market. I find the lack of diesel choices in the US really disappointing. However, I bet that there would be just as much of a marketing effort from gas car interests against diesels as against EVs. So, that would slow down adoption of your wunderfuel. (d) EVs are still better in pretty much every aspect than ICEs apart from cost and range. Although there's a history of better products ending up on the scrap heap sometimes better products succeed because, well, they're better. (e) There's nothing fundamental in the material cost that need stop the price from falling. EV's take less raw material than ICE's. Battery prices are high for two reasons (i) the market will bear the current cost given the current supply & (ii) manufacturers are still clawing back investment and tooling costs. These costs remain high as folks chase the holy grail of "unlimited range" EVs. This keeps giving us new technologies (no bad thing) - which keeps costs high. One day - folks will stop chasing "unlimited range". Look at the Chinese market and the large numbers of electric two-wheelers. They've won that market because they're better. There's nothing to say that can't happen in other markets. (f) Although there's a lot of infrastructure in place for distributing liquid fuel there's a better infrastructure for distributing electricity. Quick note everyone. 2 perspectives, after I apologize. Muck hole was only; my perspective. It seems to be my head ache (muck) and I can't find a way to get through it (hole). My apologies. #1 perspective, found in listening to Stanford Ovshinsky. That much is understood. Also, carbon is causing huge problems. Now Grandma would say, keep it simple. Perspective #2. If you need a roof and a refrigerator freezer, solar powered, Ovshinsky has you covered. If you need an electric car that gets 200 miles to a charge, his first test vehicle did that. If you need a hydrogen powered car, he's invented that one as well. What I don't know about it all, Ovshinsky is able to explain and show. Now, it's becoming part of mainstream thought. I hope listening to him will allow me to understand, burning fossil fuel to enable the hydrogen to make the power for an ICU is harmful. Burning the hydrogen itself is productive. The carbon is harmful. I would suggest anyone listen to Ovshinsky if you haven't already done so. It's pretty heady stuff and it makes sense, even to me. Once again, if you can help others, then you have a chance. Otherwise, it's just a headache with no way thru. One other thing. Electric vehicles are here, because there's just too much information about harmful carbon based tech. Let's hope they're here to stay. I see, you're saying if this magic pixie dust can in fact make bio-diesel a constant $2.40 per gallon then the EV is dead. John, the whole point of the Virent process, is that it doesn't just produce 'bio-diesel'! The Virent process allows the production of bio-fuels that mimic the qualities of gasolines/avgas/diesel etc. The huge advantage of this process is that no start-up time is needed. Simply process the feedstock in an existing refinery, send it out in an existing tanker, pump it into an existing ICE car, Diesel Truck, Airplane, lawn mower, machinery, generators, outboards, etc. No adaptation is required! I'm afraid you may well be right! Once the new fuel had driven all other technologies out of the market, the price may rise! Hopefully,competition between the suppliers may resolve that fear. The snooker for bio-fuels has alway been the feedstock logistic's. Vast area's of uncertain crops, to produce relatively little bio-fuel. I have no verifiable evidence, and certainly couldn't break a confidence, but the 'Magic Pixie Dust', may not be that far-fetched. Both PRC scientists and at least three major JVC's backed by some of the world most heavily resourced Oil/Agri/Auto-companies, have been working on Genetically Engineered bio-fuel 'Tree'. This Tree would grow in harsh, even desert conditions (like Jatropha) reaching maturity in 3 to 12 years. Standing appro 5 metres, with 150 years of productive life. The fruit from this tree can be harvested 3x per year. The fruit is then processed to make the pulp to feed the refinery. The yield ratio's far exceed algae. The tree is sterile and only grows from clones, although it does produce flowers and nectar. I'm informed that such tree(s) exist in laboratories, but have not yet proved robust enough for commercialisation. But these are early days. The first acre grown, with an economic yield, and the ICE is back in business! So are the Oil companies! Even richer, since Big Oil would pay no royalties, and own increasingly valuable assets instead of diminishing oil wells. I'm afraid you may well be right! Once the new fuel had driven all other technologies out of the market, the price may rise! So, maybe you just identified an advantage of EVs. Freedom from single source suppliers. There are many, many ways to produce electricity. And electricity is used in many, many more ways than even oil. So, it's less likely to fall prey to rapacious business practices. But, I agree with you - it's all good *technological* progress. The business side worries me though. I think "Big Ag" is, in many ways, worse than "Big Oil". Have you seen Food, Inc.? Yes, I know it's a "position piece" but there's a lot of verifiable facts put forth. Did you know that in just over a decade the soy bean production crop went from around 20% Monsanto product to 80%+? Good for Monsanto for producing better product? Not really - they have the most aggressive patent policy I've ever heard of. Those new soy beans are GMO's and Monsanto holds the patent (courtesy of a majority opinion of the Supreme Court by Clarence Thomas - ex-Monsanto counsel). Monsanto prohibits farmers from cleaning and re-using their seeds - calling it patent infringement. They even put mom & pop businesses out of business. If they find genetic traces of their seed in your crop then they go after you to stop cleaning seeds - even if you didn't plant their crop (your neighbors did and mother nature blew it your way). Amazing. Plenty of other examples from most of the other big players. Sorry, but these aren't the people I want controlling my fuel source. We, as a species, must face the reality that oil is a finite resource. Estimates vary, but at the rate we're pumping it out of the ground it simply can't last much longer. Anthropogenic Global Climate change is another reality we must face. The scientists have spoken. The industrialized world is responding, except for a small minority of vocal opponents in the United States. For those of you in other countries reading this blog - I apologize on behalf of my fellow uneducated and uninformed American citizens that read their astrology charts every day on their iPhones, but don't know the difference between a hypothesis and a theory. Rest assured that we are not all that ignorant. To you, my fellow Americans, if you doubt climate science, rest assured that the rest of the world is laughing at us. We have become the big, dumb, bully of the planet. We have to get back to reason, common sense, and making science a priority in our decision-making. For the long term the only thing we should be burning is hydrogen, and until that is a viable option the EV is the best and only choice. My personal opinion is that battery technology will continue to advance so quickly that we won't need to pursue hydrogen fuel cell vehicles, but time will tell.